The Established Program to Stimulate Competitive Research (EPSCoR) partners with states that have historically received smaller amounts of federal research and development funds to enhance science and engineering research, education, and technological capabilities. Through EPSCoR, participating states are building a high-quality academic research base to serve as a backbone of scientific and technological enterprise. The primary objective of Idaho EPSCoR is to stimulate research in niche areas that can become fully competitive in the disciplinary and multidisciplinary research programs of the National Science Foundation and other relevant agencies. Idaho EPSCoR currently is led by a State Committee composed of 16 members with diverse professional backgrounds from both the public and private sectors and from all regions of the state. The EPSCoR Committee reports to the Idaho State Board of Education and receives matching funds via the Higher Education Research Council (HERC).The Idaho EPSCoR office and the State of Idaho EPSCoR Project Director are located at the University of Idaho, and partner institutions are Boise State University and Idaho State University. The objective of NSF EPSCoR is to advance research and innovation, train a skilled workforce, and promote economic development throughout the nation. 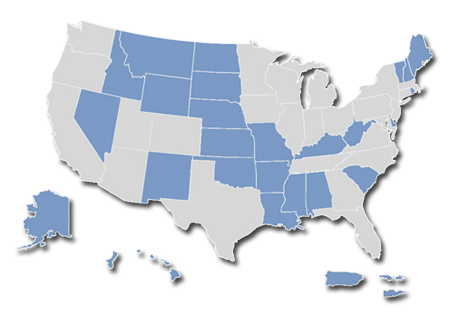 The program distributes research funding among states that have historically received less NSF support, working to establish a solid research base in every state. A strong research base provides sound education and research opportunities for local students, a trained workforce, and support for existing and emerging businesses. The USDA EPSCoR program is designed to help institutions develop competitive research, education and extension/outreach programs in high-priority areas of national need in agriculture, food, and environmental sciences. The NASA EPSCoR program allows more states to participate in space and aeronautics research, broadening the expertise available to the agency and expanding the workforce of educated and trained STEM students capable of meeting global challenges. Research Infrastructure Development (RID) awards provide core funding to improve research capacity. Research Implementation Awards provide funding for research projects over a three-year period. The amount is cost-shared by the recipient’s home institution. Centers of Biomedical Research Excellence (COBRE) increases the number of well-trained investigators by expanding research facilities, equipping laboratories, mentoring for promising investigators, and developing research faculty. IDeA Networks of Biomedical Research Excellence (INBRE)supports students and science faculty at undergraduate institutions. INBRE supports research infrastructure and mentoring of young investigators, and prepares students for graduate and professional schools as well as careers in the biomedical sciences. IDeA Clinical and Translational Program Awards (IDeA-CTR) develops infrastructure for clinical and translational research.
. Learn more about Idaho INBRE and IBEST, an Idaho COBRE program. The DOE EPSCoR program encourages contributions from EPSCoR states to national energy priorities by funding student and faculty research in areas such as (but not limited to) engineering, biological and environmental science, geosciences, physics, energy efficiency, life sciences, and science education. Implementation Grants build capacity in areas of interest to DOE, including advance scientific computing, basic energy sciences, biological and environmental programs, fusion energy, high energy physics, and nuclear physics. Laboratory Partnership Grants allows EPSCoR researchers to work closely with DOE national laboratories.